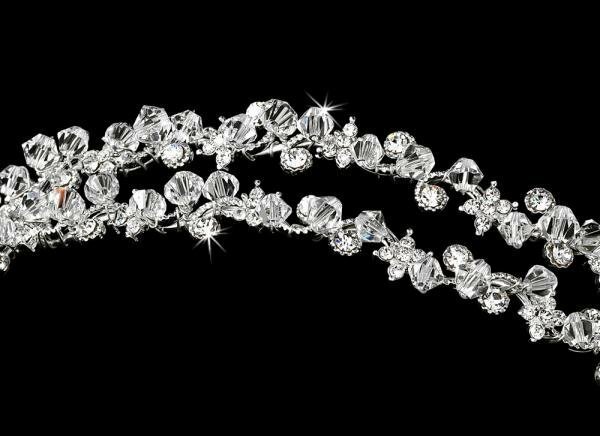 This gorgeous wedding headpiece features two silver bands encrusted with sparkling clear Swarovski crystals and clear rhinestones in a swirling design, this hair accessory is lovely for any up-style. Perfect for both white and ivory coloured wedding gowns. Suitable for both the bride and bridesmaids. One size fits most. 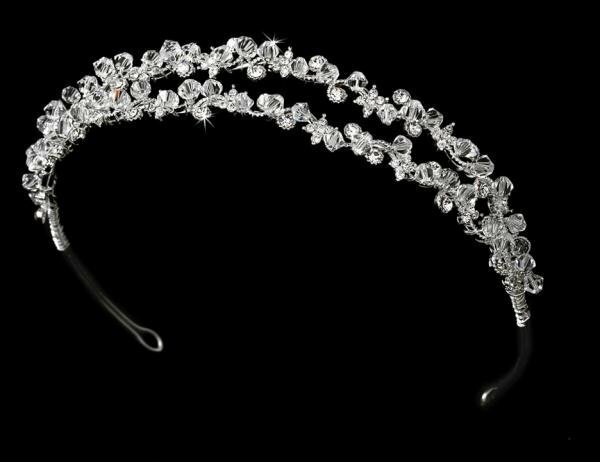 The ends of the headband feature loops to secure to your hair using bobby pins.